It was our (my boyfriend and me) first time to ever set foot in Hong Kong on July 5, 2009. We arrived there from Paris, France and had to wait for some hours for our connecting flight to Manila, Philippines. 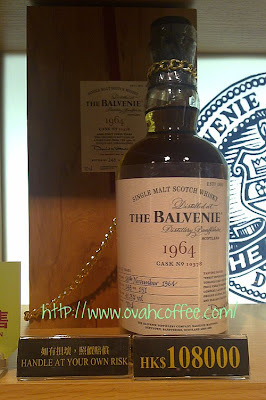 That bottle of Single Malt Scotch Whisky I touched was one of the only 151 bottles which was resting for over 40 years at The Balvenie Distillery located in Speyside, Scotland. Cool!